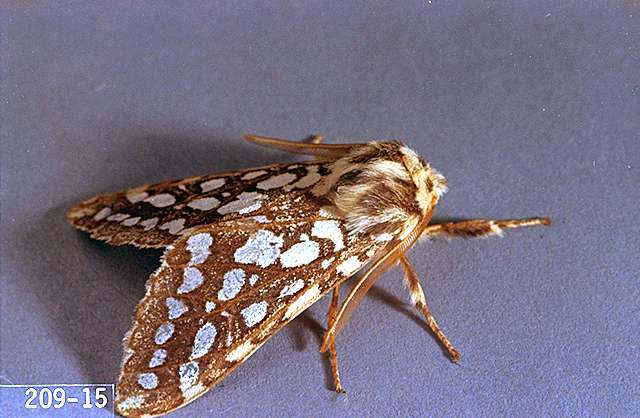 Pest description and damage Adult moths are brownish or tan with distinct silver-white spots on the wings. 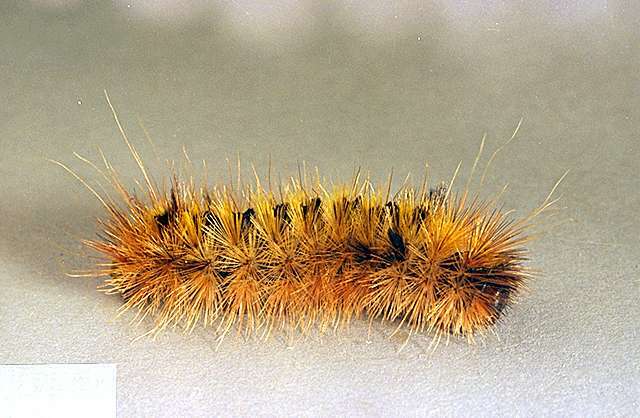 The caterpillars can reach 1.5 inches in length and are mostly reddish-brown with some blue-black or yellowish hairs. The caterpillars of the silver-spotted tiger moth feed on the needles, often "tenting" branches with dirty-looking webs. While most of the feeding occurs through fall and winter, the webs are most noticeable in the spring. Minor infestations cause little harm to trees. 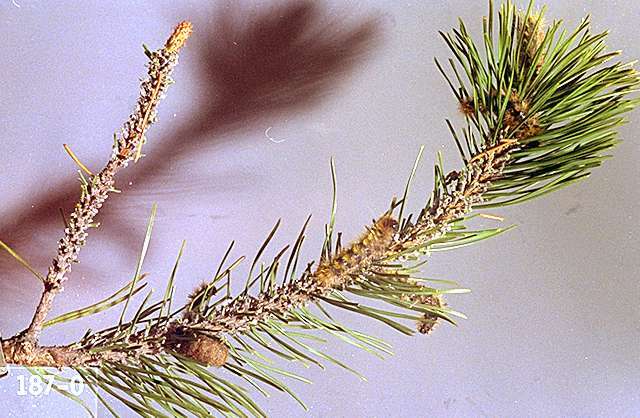 Douglas-fir is the preferred host, but pine, arborvitae, spruce, and true firs also are attacked.